NetEnt (formerly known as Net Entertainment) is a Swedish company and one of the pioneers in the gambling software development industry. Starting from 1996 and to the early 2000s, NetEnt was a second tier gambling software dev company mainly because the trend of the downloadable games ruled at that time outshining the browser casino solutions. Eventually, that little something holding the company back became its greatest advantage. The NetEnt team was one of the first developing built-in Java and Flash games and just in a few years became the market leader. Currently, only the Microgaming may compete with this Swedish company for the users’ hearts. In 2009, the company was listed on Nasdaq OMX Stockholm and haven’t left it ever since. The efficiency and professionalism of the Swedish developers also impact the actual share capital amounts. For now, it is €18.78 billion (€3 841 145 per employee). The true leader never stops to rest on laurels. As soon as the built-in gambling games stopped being a wonder, NetEnt started to conquer the mobile devices market. The journey began in 2010. At that time powerful smartphones weren’t a popular game tool so the idea of launching an online casino was both super fresh and risky. None of the NetEnt competitors were considering that. Their loss! NetEnt touch mobile platform was launched in 2011. At the start, it contained only the customized versions of the existing browser games. During the first month, only the iOS versions were available, but later Android and Windows Mobile games were added as well. The NetEnt dev team doesn’t stop working on creating the mobile versions of the early games, but luckily all the newly-developed products are always available both on PC and mobile devices (which is super convenient for the players as well as the casino operators). What’s there for the operators? 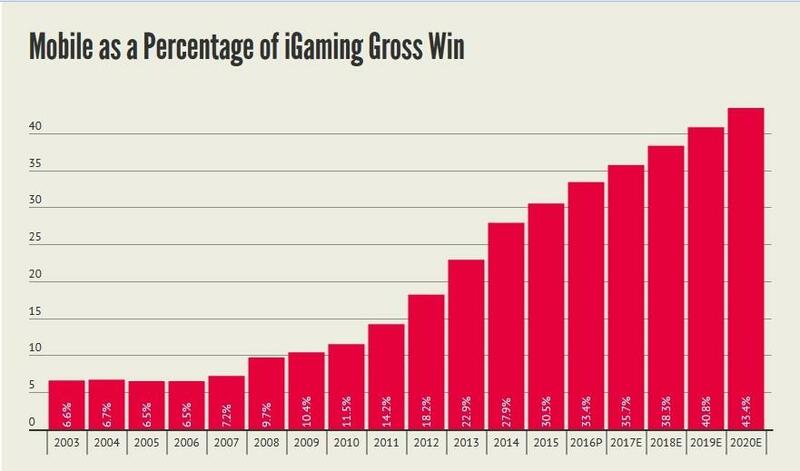 Starting from the late 2000s, the global online gambling mobile market share has been growing on a daily basis. As experts forecast, in the next 5 years, this trend will persist. Just compare the 33,4% in 2016 and 35,7% in 2017 (as for the June 2017). To remain successful and keep up with the rivals, the online casino operators should constantly update the list of mobile games. The NetEnt products are just perfect for that. The NetEnt mobile portfolio contains more than 100 games (slots, table games, progressive jackpots). The users prefer high quality. NetEnt mobile games provide the player with an exquisite gaming experience, supreme graphics, and tons of bonuses. A variety of the NetEnt mobile games helps to easily choose only those that match your audience taste and expectations. The mobile games return is just as high as that of PC versions: an excellent teaser for the players. NetEnt Live Casino (one of the most popular online casino clients) may attract high rollers. The user may play not only famous NetEnt slots but also table games (Roulette and several types of Blackjack), the return being even higher. As previously noted, the mobile games are just as colorful, well-worked, and exciting as their desktop versions. Plus they are profitable not only for gamblers but also for casino operators. Sure, there are some UI/UX differences aimed to make the gaming experience even more convenient. The bet settings (coin value, level) and the game settings (autoplay, quick spins) are placed in a separate menu tab. In the desktop version, those settings form the menu in the bottom of the screen. The rules and the game description, the audio/video settings and the boosters description in the mobile version form the submenu tab. When you’re playing on PC they’re mostly popups. There’s a “left hand mode” for the mobile players. When you play using the mobile device, the quick spins and the autoplay are also available by tapping the “+” sign on the main button. So the gambler may choose where to change the game settings, which is super user-friendly. * You can also check out other NetEnt games on the official Softgamings Youtube channel. The idea of launching the live casino was first disclosed by the NetEnt team in 2012. And just in a year, it became available for gamblers around the world. The reason the platform is mentioned in the post is that it’s super easy to access NetEnt Live Casino via the mobile device (smartphone or a tablet). NetEntLiveCasino promo is based on showing gamblers using only smartphones. This client is one of the most popular live casino solutions in the world (alongside with (Microgaming, Amaya, and Ezugi). Such a blast is easy to explain. NetEnt Live Casino offers you a live chat, an ability to play without downloading a client, saved history/statistics and many other useful features! The NetEnt team really tried hard to make it both convenient to play and profitable. The only flaw that stops the NetEnt Live Casino from being the best on the market is the Baccarat missing from the list of available table games (the user can play Roulette or Blackjack only). NetEnt mobile games are a good investment. The wide array of the available solutions makes it easy to choose the games that your audience will enjoy. The knowledgeable and skilled tech support team helps to troubleshoot all the malfunctions in the quickest way possible. The comprehensive management system is very easy-to-use. And last but definitely not least gamblers just love NetEnt games! This basically means your casino will never experience low traffic and will always have plenty of players from around the world. Exciting, huh? !